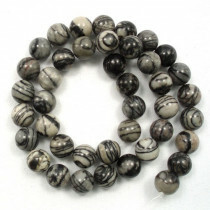 A stone which is named after its black manganese inclusions, which gives the impression of veins running through the stone. 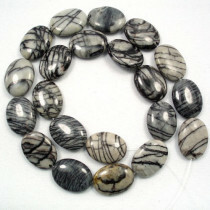 Sometimes also called “Zebra Stone”. 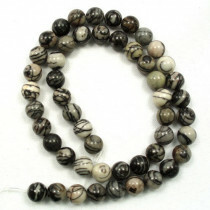 As a member of the Jasper family, it is believed to have an energy that’s grounding and stabilising. 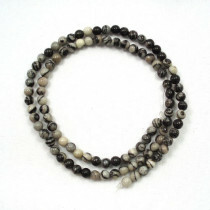 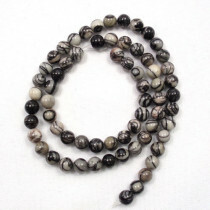 A-Grade Black Veined Jasper Stone Rondelle 5x8mm (33pce Strand) - 40cm /16'" Strand. 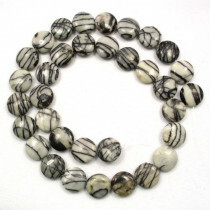 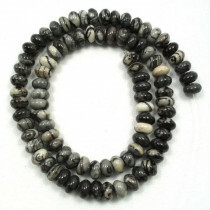 A-Grade Black Veined Jasper Stone 13x18mm Oval Beads (22pce Strand) - 40cm /16'" Strand.